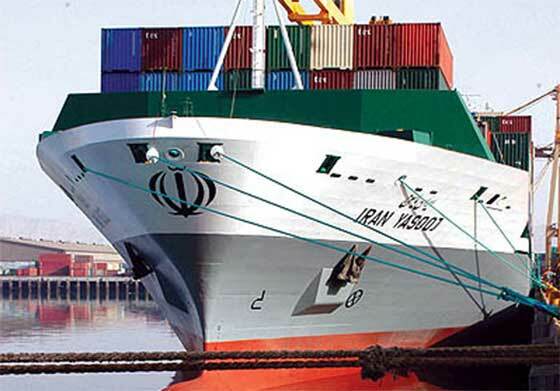 The United States is reported to have removed the Islamic Republic of Iran Shipping Lines (IRISL) and the country's ports operator Tidewater Middle East Maritime Company from the US blacklist of companies subject to sanctions and asset freeze, local media reports. The names of 16 shipping executives, including IRISL Managing Director Mohammad Hossein Dajmar, and their companies have been delisted along with the related firms, IRNA added. "From now on, Tidewater is ready to participate with all power and capacity in financing various ports projects along with other Iranian maritime companies," Tidewater is cited as saying in a statement, adding that all sanctions against the company had been formally abolished. The announcement comes following a final accord between Iran and the P5+1 nuclear deal, the implementation of which is pending approval from the US Congress and the Iranian Majles (parliament), as well as the implementation by Iran of nuclear-related measures described in the deal. The US President Barack Obama has urged Congress to back the deal as it prevents Iran from the ability to develop a nuclear bomb. Obama stressed that the failure to approve the deal would lead to more instability in the Middle East and an unfavorable chain of events. Even if all parties approve the deal, estimates show that the legal process to remove sanctions could take several months. "As a result, we do not expect Iranian crude to flood the market in the near-term," energy research consultancy Wood Mackenzie said commenting on the deal. "We believe it could take Iran until the end of 2017 to increase production by as much as 600,000 b/d. There is a great deal of uncertainty over whether there has been any degradation of the reservoirs or facilities while production has been shut in." "Since the increase in Iran's output will occur steadily rather than one sizeable step change up, we do not see a large-scale downward effect on oil prices. Our oil market view already includes an assumption that Iran's sanctions would be fully lifted by mid-2016." As explained by Wood Mackenzie, the country is expected to unveil new upstream fiscal terms in late 2015 and some IOCs and NOCs, including Shell, Total and Eni, are already eyeing opportunities. "Tehran is eagerly poised to attract foreign investment and gain access to modern technologies in the whole energy chain. However, it will take years for IOCs to gain access to projects and start having an impact on production capacity - even if fiscal terms are set at internationally competitive levels."